August, 20 2013 – Students from Junior and Senior High Schools across Nusa Penida commemorated Indonesia’s Independence Day by joining conservation competitions organised by Friends of the National Parks Foundation (FNPF). 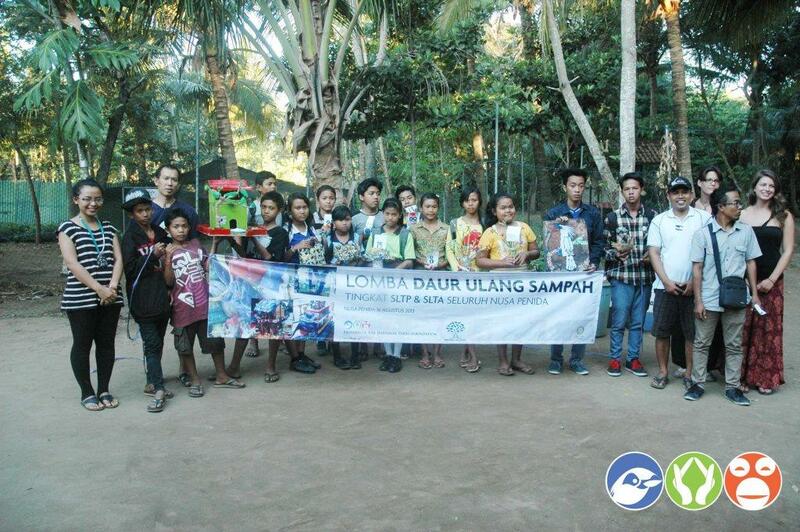 The competition, which had the theme “Conservation on Nusa Penida”, was held over two days on August 16 und 17. Over recent years FNPF has played an important role in the Independence Day celebrations on Nusa Penida, by promoting respect for the environment. The activities include a Recycling Competition, an English Speech Contest, a Conservation Quiz, and a Drawing and Painting Competition. Hundreds of people from the wider Nusa Penida community came each day to support the students who took part in the various competitions, and there was an atmosphere of excitement, with a lot of laughter and applause. Pak Damaianto also extended thanks and appreciation to FNPF’s generous sponsors from Humane Society International of Australia (HSI), the Maya Ubud Resort & Spa, and the Rotary Club Bali of Seminyak, whose generous on-going support of the work of FNPF makes this event possible. He also recognised FNPF volunteers from Ireland, France, England, Switzerland; the Nusa Penida youth organisation “Forum Komunikasi Krama Muda Nusa Penida”; FNPF scholarship recipients who helped run the event, and last but not least, the principals and teachers from each school for their effort in supporting the students who participated in the competitions. Visit www.fnpf.org regularly to check our programme updates and follow us @fnpfbali, oder visit and like our page at Facebook FNPF (Friends of the National Parks Foundation).